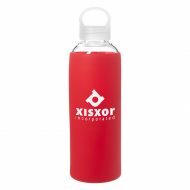 Promotional water bottles and sport bottles are popular and practical promo item that everyone loves to receive and use daily! 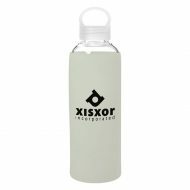 With a large imprint of your company name, logo, or design, our customizable water bottles will generate multiple brand impressions of your logo and message while promoting your business or event. Our large selection of custom imprinted water bottles includes many well-known drinkware brands such as Thermos, Contigo, Camelbak, H2Go, bobble, Aviana, Tritan and more. We hand-select our products for their quality and price and offer you only top quality promotional bottles that are available in variety of materials such as BPA Free Plastic, Aluminum, Stainless Steel and Glass. 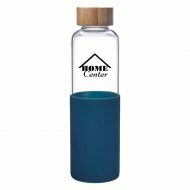 Customizable water bottles make a great promotional giveaway for businesses of all industries and sizes and make a great thank you gift that recipients will keep and use for years to come. Promote your brand today with our top quality promotional drinkware! Available with fast turn-around times, low minimums, and at the lowest prices you’ll find. We carry over 500,000 products. To not overwhelm you with options, the items shown below are our top sellers and were carefully selected for their quality and price. New products are being added daily, so check back often and don’t forget to subscribe to our newsletter to receive specials, marketing tips, trends, and more. If you cannot find what you are looking for, please call or send us an e-mail to info@progresspromo.com. We promise we can help you find the perfect product you’re looking for! Promote proper hydration when you add this 18 oz. promotional Dartmouth Glass Bottle to your next marketing campaign! This custom printed glass bottle is BPA free and meets FDA requirements. Made of high borosilicate glass, this promo water bottle features a silicone sleeve, wide mouth opening, easy carry handle and screw-on, spill-resistant lid. Imprinted with your company’s name and logo to create a promotional water bottle they’ll want to keep in their hands while providing continuous exposure for your brand at the office and on-the-go.